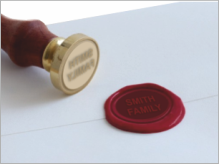 Once regarded as a traditional way of sealing envelopes and also used by solicitors as a ‘legal’ seal. This technique is growing in popularity again. A stick of sealing wax is heated and softens. The stamp is used to ‘squash’ the wax, forming a seal that prevents the envelope from coming open. This is an envelope that has a self adhesive strip. 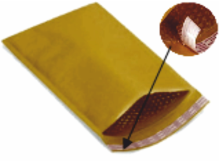 When the strip comes in contact with the envelope, it sticks to the surface, securing the envelope. These are the modern equivalent of wax seals. The smaller seals are ideal for envelopes and the tape, is suitable for boxes and packages. These are the most common of all envelopes. The seal is moistened and pressed down, ‘gluing’ the envelope shut. 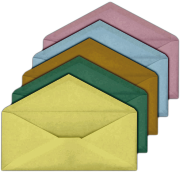 There are a limited number of designs, that enable envelopes to be reusable. 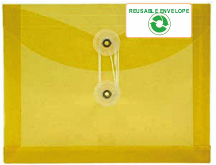 Some paper / card based envelopes can be resealed by winding string around two circular fasteners.